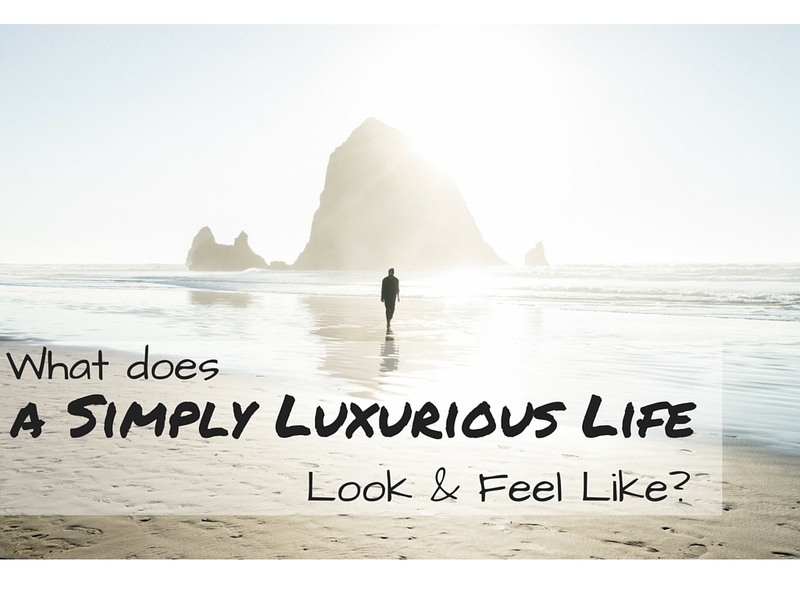 What Does a Simply Luxurious Life Look & Feel Like? Just imagine, waking up with excitement, going through your day with clarity and unwinding in the evening with peace of mind and a dose of pleasure and extraordinary comfort. In a very succinct way, this is what living a simply luxurious life is about each and every day. But how does each of us reach this pinnacle? What do we need to do now to enjoy this state of being each and every day? 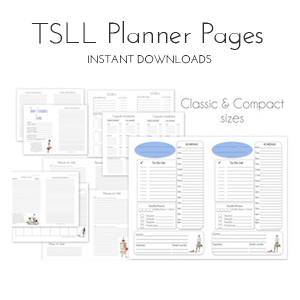 In a very broad sense, the how is always shared and examined here on TSLL blog and on The Simple Sophisticate podcast. We dive deep into the components of finding this peace of mind, of how to reach the clarity that will no doubt be different and unique just as we are different and unique individuals in this vast and amazing world, and finding what is pleasurable and lovely in our everyday routines, but today I would like to share with you the outline, the concepts of what a simply luxurious life entails, and thus how it will feel as you are living it day in and day out because trust me, while the descriptor above will be true, how you attain that feeling will be different on any given day. 2. Maintaining and building a sturdy 3-legged stool of health: (1) a diet of moderation which involves real food, (2) physical soundness – daily, simple, enjoyable aerobic exercise, strength, and stretching, and (3) mastery of your mind – conscious decision making rather than reacting rashly, positive self-talk, meditation to let your mind rest and exercise your control and mastery of it and a good, regular night’s sleep. 3. Finding a purpose that correlates with your passions. Then crafting a plan for success and working towards it in small steps daily. 4. Being clear about what you value and reassessing regularly. Eliminating responsibilities, activities and relationships that don’t support your primary values. 5. Allowing yourself to really feel what you’re feeling, not numbing yourself to what arises. In doing so, you come to understand and allow yourself the ability to move forward with more clarity, compassion and awareness. 6. Creating a sanctuary to wake up in each morning and fall asleep in every night. 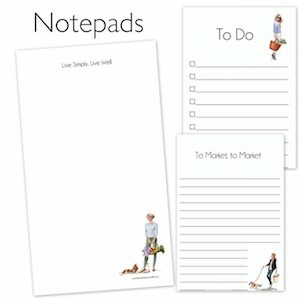 Keeping it decluttered, organized and stocked with your simple pleasures for your daily, weekly and monthly rituals so that it is simple to maintain and a pleasure to live in. 7. Successfully mastering a chic, stylish wardrobe while adhering to your budget and not letting the trends and media master you. 8. Building and investing in a healthy social circle. Quality, not quantity. 9. Being compassionate, but having clear, firm boundaries in place. 10. Establishing routines that enable moments of spontaneity. 11. Living within your means which involves spending to invest in yourself, both of which allow you to have your financial security in your complete control. Continuing to educate yourself so you can take risks, but also remain financially savvy. 12. Knowing what you value and being clear about your priorities so that your energy isn’t depleted for the things you care most deeply about. 13. Being open to love. Taking your time, learning from past mistakes, knowing what you can and cannot compromise on. 14. Incorporating regular travel as we must continue to grow and evolve, making it luxurious as we venture with the attention to details and planning in preparation. 15. Allowing room for luxuries, both routine and unexpected, such as flowers, massages, facials, pedicures and manicures, excursions, entertainment, dining out, etc. Regularly planning special moments, no matter how small, at least one each day to celebrate or appreciate something that is going well. 16. Being productive in a career you love, but striving for balance with your personal life. 17. Knowing thyself – what you need, what you know, and what you don’t know. Giving to yourself in the manner of self-respect, self-compassion, and finding your inner strength so that you can successfully attain your goals. The key to understanding why I can guarantee you will feel these emotions is because if you’ve built a strong foundation that involves the 8 pillars of a simply luxurious life, are actively cultivating and working toward achieving and making a reality each of the 17 concepts listed above which fall under the 8 pillars, and are always open to learning how to attain the skills necessary to effectively do each of these (which we talk about regularly on the blog and podcast), no matter where you are on your life’s journey, you will have the confidence to face any uncertainty, you will have the ability to appreciate where you are, what you have and how far you’ve come, you will be in touch with yourself so that you understand your emotions, and that is why the negative emotions don’t rise to the surface. Yes, you may initially feel frustration or anger due to another’s actions or an outcome of a scenario that didn’t go your way, but you will know how to respond effectively, you will know what to let go of and you won’t burden yourself with unnecessary angst. As the pioneer of this coined way of life “simply luxurious”, I know I am by no means the first to understand or try to better understand how to live a truly fulfilling life on my own terms so that my authentic self is able to reach its full potential, but perhaps no one was able to speak or write in such a way that I fully grasped and that is why I began this blog. For example, while I was agog about living simply after reading Ralph Waldo Emerson’s book of essays as a teenager, I knew he wasn’t going to be the guru to finding my personal style which I so unabashedly loved spending time trying to understand and shop for accordingly. Likewise, Mireille Guilano seemed to speak to me almost directly when I read her first book, and I began to breathe a breath of angst-free air when I realized I didn’t have to torture myself at the gym to stay in shape. However, I am not French (although in my dreams I sometimes become a femme a la française). And so, how to live simply luxuriously as someone who isn’t French, but adores their cultural and aesthetic values, how to come to understand myself and the world around me in this twenty-first century as a woman who values her independence, intelligence and femininity, and most importantly, while reaching my full potential, how to savor each and everyday so as to infuse a rich appreciation for the life that I am living now, this is why the blog, then the podcast, the first book and in time a second book is something I want to share with you. Because as much as I am on the journey with you, sharing as I go, revealing the aha moments I experience, with each step, with each challenge I overcome, this life, this simply luxurious life, just becomes more exceptionally extraordinary beyond my wildest expectations and I want you to experience this as well because you absolutely can. To the typical outsider, your life may not be extraordinarily different, odd or magnificent. But to you, the insider, you will know the transformation you have undergone. You will feel all of those feelings listed above, and you will, to return to the first sentence of this post, wake up with excitement, go through your day with clarity and unwind in the evening with peace of mind and a dose of pleasure and extraordinary comfort every single day. The simply luxurious life is worth living, and you hold all the power to make it so. 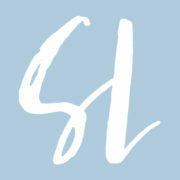 ~If you are new to TSLL blog, start here to discover how to live simply luxuriously as I break down the blog and all of its components so you can best utilitize this destination as a resource to live your best life. Shannon you have no idea how much I needed this post today and how much I have gained from it. For some weeks I’ve been quite unwell (severe, never-before back pain), so getting through the days has been a task in itself. Although I still have a way to go to regain full health I’m on the way, it will help me enormously to reassess each of these 17, perhaps one a day? Thank you for always inspiring us my friend. This is wonderful. The French like to say that things are “correct,” or done “correctly.” It means much more than accuracy. It’s attention to detail without being slavish about it. The whole moderation thing. So work is done correctly–you work hard and do a good job but you take your lunch break and go home on time. Clothing is correct–clean, pressed, stylish, without being overly revealing, sloppy, or in disrepair. People are correct–polite without being either hostile or gushing. Restaurant portions are correct–good value but not more than one can eat. The word correct applies to so many things. And it seems be to integral to the simply luxurious life. Intriguing concept. Thank you for sharing. Great read and I almost immediately go into relaxation mode reading this blog post. Putting each of these steps in place takes time but well worth the effort. Shannon, I have been following your blog for a few years now and have slowly been creating my sancutary, minding my money and buying flowers weekly to name a few and the creation of simple luxurious life all starting to add up. Simple steps, big improvements! In the spirit of the All-Star games, This post is a home run!!!!!!! Thank you. Lynette, so happy to hear! 🙂 Thank you for sharing your journey.